Median f-up = 7.5 yrs. Mortality - 0% for isolated coarctation (n=116), 7.4% for coarctation associated with other anomalies. Seirafi et al.Ann Thoracic Surg 1998;66:1378-82. 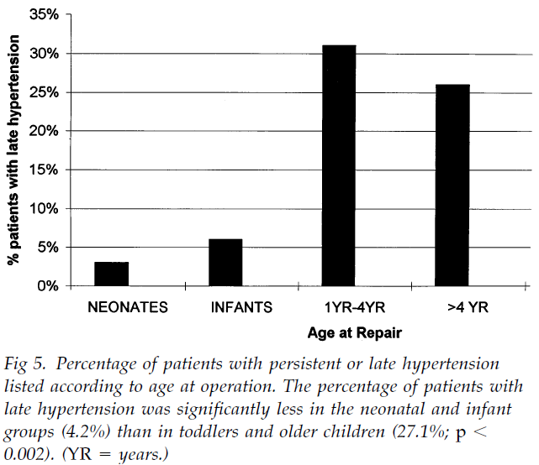 Age at repair was not significant risk factor in another study: Hager et al. JTCVS 2007;134:738-45. n=405, Surgical era 1974-2000.